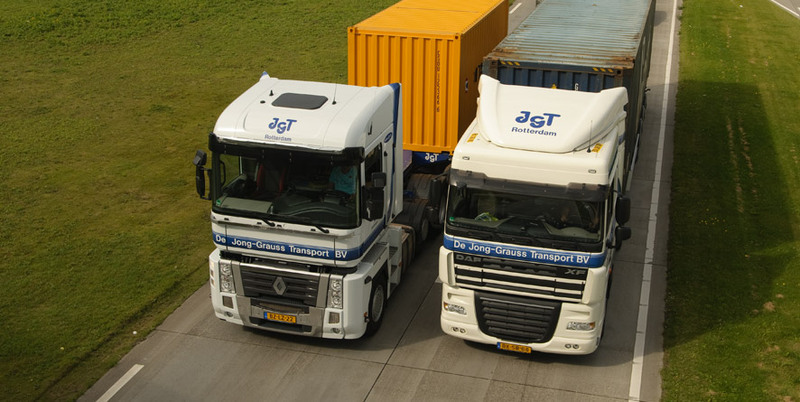 De Jong-Grauss Transport b.v. is eager to take care of all your sea container transport. We ship 20ft, 40ft as well as 45ft containers. You can also come to us for the transport of conditioned containers (reefers) as well as of TFS waste containers. Various tipping chassis are on hand to tip all of the above mentioned types of containers. We are active mainly in The Netherlands, Germany, Belgium, Great Britain and France. We can, of course, also deliver your goods to other countries. With our fleet of 145 vehicles and our very motivated staff we can ensure that your cargo arrives at the designated destination promptly.